For affordable and reliable services in hiring process management, Connecticut business owners can turn to the experts at HR Knowledge. We are a highly reputable administrative services organization (ASO) providing outstanding recruitment and hiring solutions to organizations throughout the Northeast. Our company helps small to medium sized businesses, non-profits, private and charter schools, and high tech companies, by providing affordable HR services. We are known for our exceptional hiring process management services and solutions and the results our searches provide. When you turn to HR Knowledge for hiring process management, you can trust that our team of recruiters will go above and beyond to ensure your search for the perfect candidate is met. We begin by getting to know you and your company, from culture to vital software used; we want your new hire to fit in perfectly with what your business is all about. From there we will help to craft a detailed, comprehensive job description, and then post it on all appropriate platforms. Once the candidates start to send their resumes, we will personally screen them, and bring each individual in for a first round interview. Only then will we send the most promising candidates your way for the interview process. 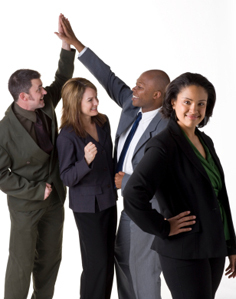 We offer hiring process management, Connecticut organization leaders can trust will deliver the best results. When organizations grow or positions become open, the process of filling a position can be time consuming and challenging. Small and medium sized businesses that lack the internal resources necessary to help with HR’s recruiting responsibilities often turn to leadership and management to find new hires. Unfortunately, this can take away from the core responsibilities business leaders need to focus on in order to grow and succeed. That’s why we offer a great service for hiring process management Connecticut businesses can turn to at any point throughout the hiring process. If you’re looking for help from a reliable recruiter with years of experience, turn to HR Knowledge. Our team of recruiting experts boast over 100 years of combined experience, and know how to match the right applicant to the right company and position. Request our hiring process management services online, or give us a call today at (508) 339-1300. We’re always happy to answer any questions, free of obligation, and will be happy to take your call. When it comes to hiring process management, Connecticut business owners and leaders can trust that HR Knowledge is the administrative services organization (ASO) to call.